Last Tuesday night in Charlotte, N.C., I had the privilege of sharing the Blood:Water story with over 200 young professionals at a worship gathering called CharlotteONE. 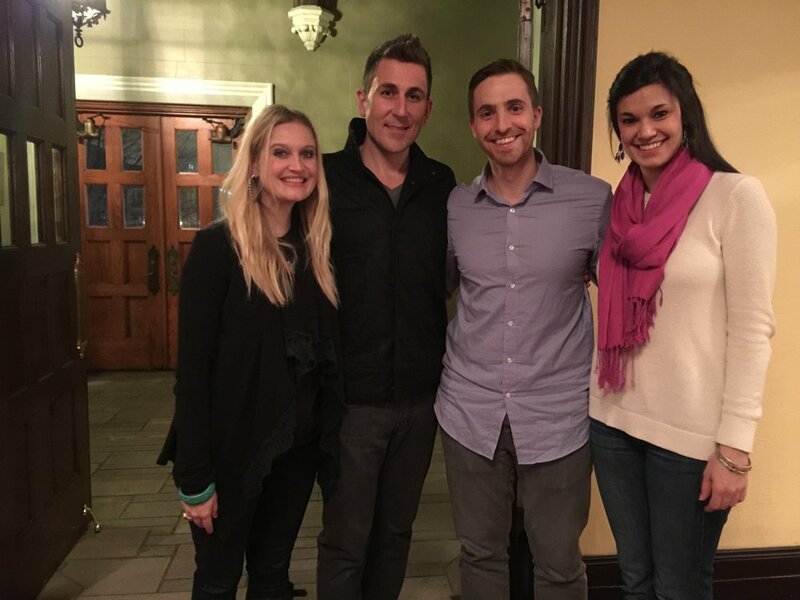 Not only did I get to visit with some amazing folks and share Blood:Water’s mission, but I had the honor of sharing the stage with STORY Conference founder and Dream Year author, Ben Arment, who shared with us about the gift of our God-given dreams and encouraged us to not be held back by fear. It was just over a decade again that our co-founders, Dan Haseltine and Jena Nardella, set out to accomplish a God-given dream beyond what they knew they could reasonably do—1,000 wells in Africa. Over 10 years later, over 1 million Africans have clean, safe drinking water because Dan and Jena were willing to follow their passion and trust God to do immeasurably more than they could think. The gathering not only raised over $1,500 for Blood:Water’s The Next Million campaign, but it gave us all the gentle reminder and encouragement that we have purpose and passions that sometimes need to be unlocked by stepping out into the unknown space of walking by faith not sight.